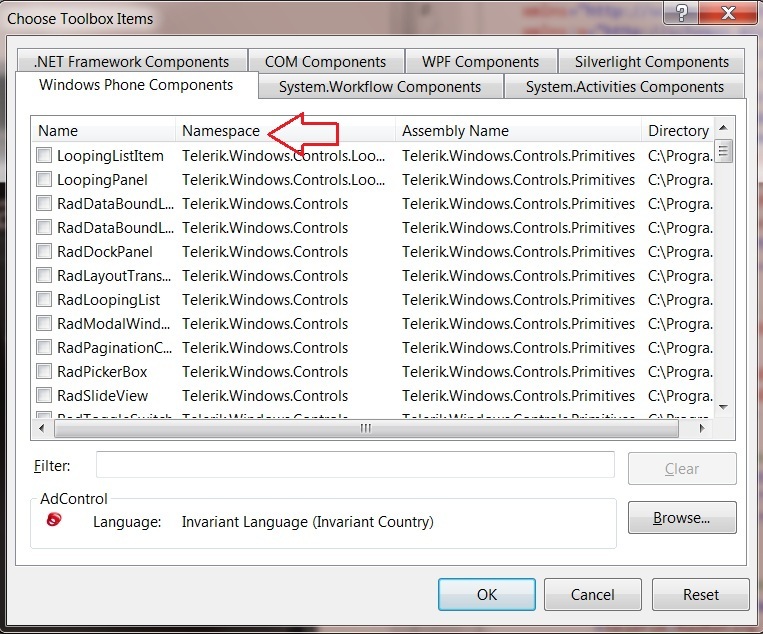 Telerik RadControls for Windows Phone – Article #2 - How to add controls to Visual Studio 2010 toolbox ? 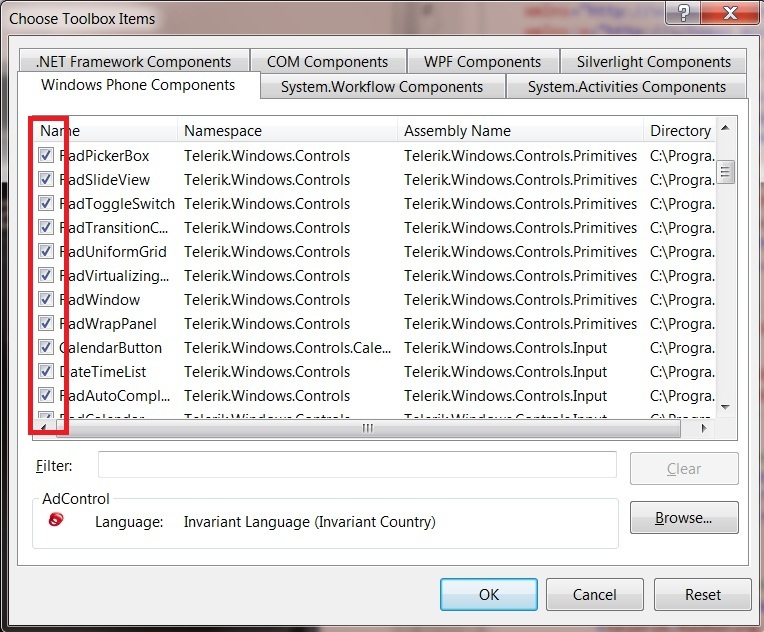 If you have installed the Telerik RadControls for Windows Phone and could not see the controls in the Visual Studio 2010 , here’s a tip to get the controls in the Visual Studio 2010 toolbox. 2. 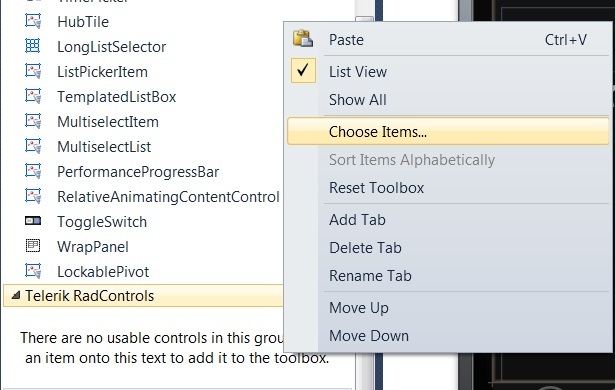 Right Click on the newly created tabe “Telerik RadControls” and click the button “Choose Items…” in the Context menu .